From all of us at SMO Energy, thank you for letting us provide home heating oil services to the region for almost a century. We have serviced generations of clients, and are proud to be the largest family-run business in the state of Maryland. 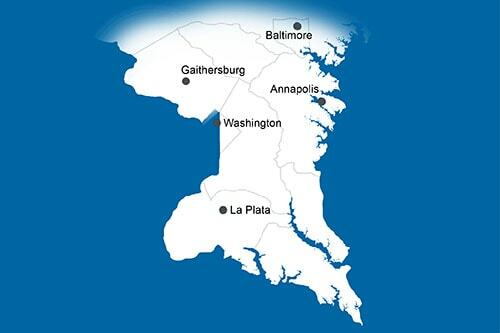 We have delivered to Southern Maryland since 1926, and we look forward to serving the area for many more years to come. Heating your home is a necessity during the cold winter months, and you can rely on us to provide dependable heating oil delivery service with flexible schedules, including automatic, will call and scheduled delivery options. As well as, flexible payment options to meet your heating and budget needs. We also offer client’s **same day and next day delivery service in the event your needs for heating fuel need to be met sooner than you expected. Quiet and reliable service is what you can expect from our expert heating oil delivery drivers. High-quality heating fuel at competitive prices — Heating oil delivery costs fluctuate throughout the year. We make sure our heating oil refill costs remain affordable for you and your family and ensure all the heating oil we deliver is of the highest quality. No hidden delivery fees or charges — With SMO Energy as your Maryland heating oil provider, you just pay the price per gallon. No regulatory fees or hazmat charges — only a straightforward invoice for the oil you purchased. Outstanding and responsive client care — From our representatives and delivery drivers to our technicians and specialists, you can trust you’ll always receive quality care and an excellent customer service experience. Free monthly payment plan options — Paying your heating oil refill costs has never been simpler or more rewarding than with our free SmartPay Budget Plan. Spread the cost of your home heating oil deliveries across the year and save five cents per gallon with our free SmartPay Plus auto payments. Free automatic delivery service — Let us make sure you never run out of oil with our automatic heating oil delivery service. We’ll monitor your tank’s levels and then keep it topped-off for you. It’s the most convenient and hassle-free way to handle your heating oil refills. Live Client Care Representatives — Call on our Client Care Representatives, located in La Plata, MD, for all your needs. Whether you’d like to buy heating oil, check our heating oil refill costs or find out if you’re in our service area, you can depend on our helpful team. Online portal services — Manage your account and do business with us on your time with your convenient online account. Review your latest statement, check your past heating oil delivery costs, schedule a delivery and more. Large delivery fleet — To meet our client’s same-day/next-day delivery needs, we maintain an extensive delivery fleet that outshines that of many other local heating oil companies. The best part is you get your heating oil fast, which keeps your home comfortable. 24/7 emergency services — When you run into trouble, you can count on your heating oil supplier to be available. Our emergency services are active 24 hours a day, seven days a week and 365 days a year so you don’t have to wait until the end of the holiday or weekend. 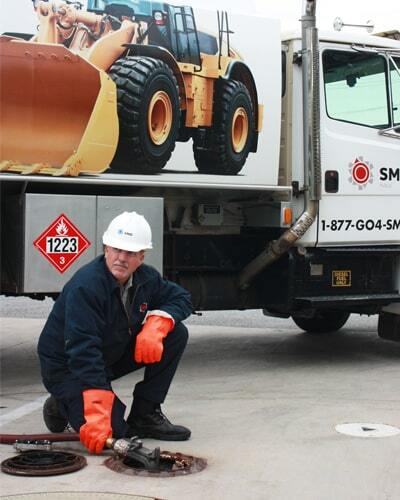 When you’re searching for where to buy heating oil, SMO Energy is a leading choice for families in Southern Maryland. Whether you need heating oil in Annapolis, MD, or La Plata, MD, we can take care of your oil delivery plus provide our customer favorite feature: same or next-day delivery! While some heating oil distributors include a service fee or adjust their heating oil delivery prices based on the location of their customers, we deliver the same price to all our SMO Energy family. And no matter your county, every home heating oil delivery is free. All you pay for is the heating oil you’ve purchased. It’s as simple as that. *No delivery fee applies to all deliveries 100 gallons or more, same day delivery is applicable to a $35 fee. **Same day and next day delivery service is subject to change based on weather conditions. Unsafe road conditions create an unnecessary risk to SMO drivers and the environment.